A few days ago I learnt that the Maltese taxpayer is subsidising Arriva to the tune of €6 million per year. I always thought that one of the reasons the government was handing the public transport to a private contractor was to do away with subsidies. I wonder whether this was a condition laid down in the original conditions of contract. The other obvious conditions were to have a better service; better buses; drivers who would be more courteous towards the passengers and; all this without raising the fares. The service is lousy at best: longer routes, arriving late at one’s destination with travel and waiting times much longer than previously experienced. I live in Balzan and use the Rabat route buses. This route has always been notorious for lousy service and I cannot see any difference. 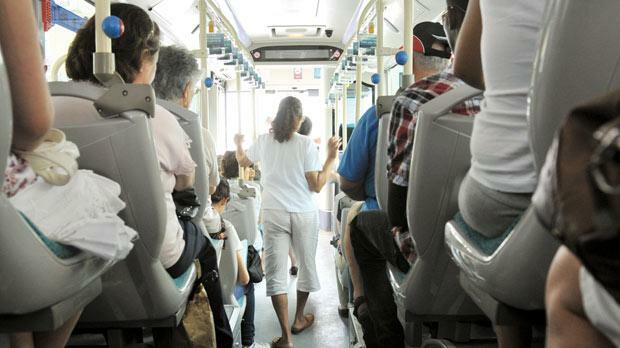 A visit to the Valletta terminus will confirm this as one witnesses the departure and the immediate arrival of buses on other routes but not on the Rabat/Dingli/Mtarfa one. A couple of Wednesdays ago I was there at 12.15 p.m. and as many as four bus loads of people were waiting for a bus on the Rabat route to arrive. Two buses arrived in the space of 40 minutes, loading to full capacity, complete with standing passengers, and leaving. When I managed to board the third bus, we left with standing passengers, so much so that the bus did not pick up any passengers en route, unless it had to stop for passengers to get off the bus. People waiting for more (Rabat) route buses to arrive were outraged seeing buses arriving at the other bus bays where a handful of passengers were waiting, while buses for the Rabat route were not forthcoming to cope with the huge number of people waiting. Empty buses could be seen on the opposite side of the road. Will Arriva please assign someone with an iota of common sense to the Valletta terminus to direct buses where they are needed most and in time? Yes, the buses are better, cleaner on the inside but their exterior could be kept cleaner too. Yes again, the drivers are more courteous towards the passengers notwithstanding that they are working under tremendous pressure. However, drivers still stop their buses a way out from the sidewalk, making it difficult for senior citizens/people with special needs to alight or board the bus. I am willing to pay a few cents extra for better service and better buses plus air-conditioning (when it’s working). But then, I wonder whether the new routes were envisaged with a view of bypassing the “non increase in fares” clause in the contract. They are certainly very unpopular for a number of reasons. A lot has been said about the double standards being practised by Arriva between locals and tourists, where the latter have to pay a higher fare. Would it not be more advisable to mete out justice equally between locals and foreigners, particularly when Malta depends so heavily on its tourist industry? The government had expected the new contractor, whoever that might be, to deliver the conditions laid down in the contract, particularly that of giving a more efficient service. The government had good intentions and expected that the better bus service would translate in having less private cars on the road because people would use public transport to commute to work. However, this is Arriva’s most glaring shortcoming and people expect a better service now.